When it comes to Business Intelligence, it's not a case of 'one size fits all'. We have 3 stages that'll each be tailored to meet your requirements. Merlin understands how important it is for businesses to have the right information when they need it. Whilst also being aware that there are many variations of Business Intelligence, and it’s not necessarily a case of one size fits all. 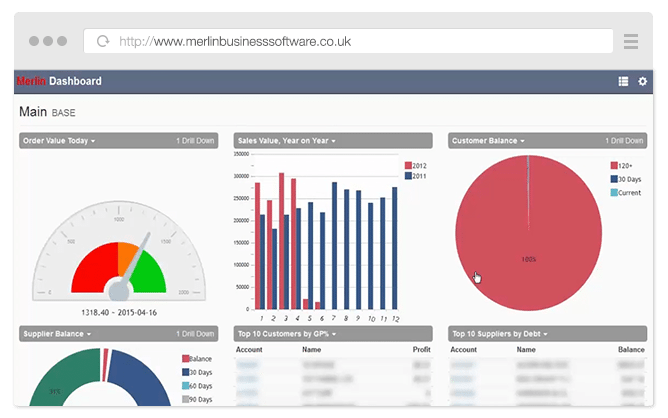 With that in mind Merlin have 3 stages of Business Intelligence on offer for you, each tailored to meet your requirements, and ensure you get the most up-to-date information when you need it. The Listings feature comes as part of standard Merlin and provides users with a basic reporting function. View these listings on screen, or export to Excel, Listings makes getting access to real-time reports quickly and easily. Whilst Listings are user definable, they are easy to create, set up and manage, Merlin will provide you with some standard listings upon setup. With Listings you can gain immediate access to the record associated with a line in the listing. i.e. if you’re looking at customers on stop, you can right click and can access to that customer. Open Sales/Purchase Orders: View open sales orders, and click through to edit orders if necessary. Also available for Sales/Purchase Enquiries. Customers on Stop: See an up-to-date list of Customers on Stop, which can be used to prevent further orders being placed, as well as alerting Account Managers who require chasing. A Supplier version is also available. Stock Shortages: Monitor stock levels and gain quick access to areas where the stock is low, enabling the Purchasing Team to quickly rectify any potential stock shortages. 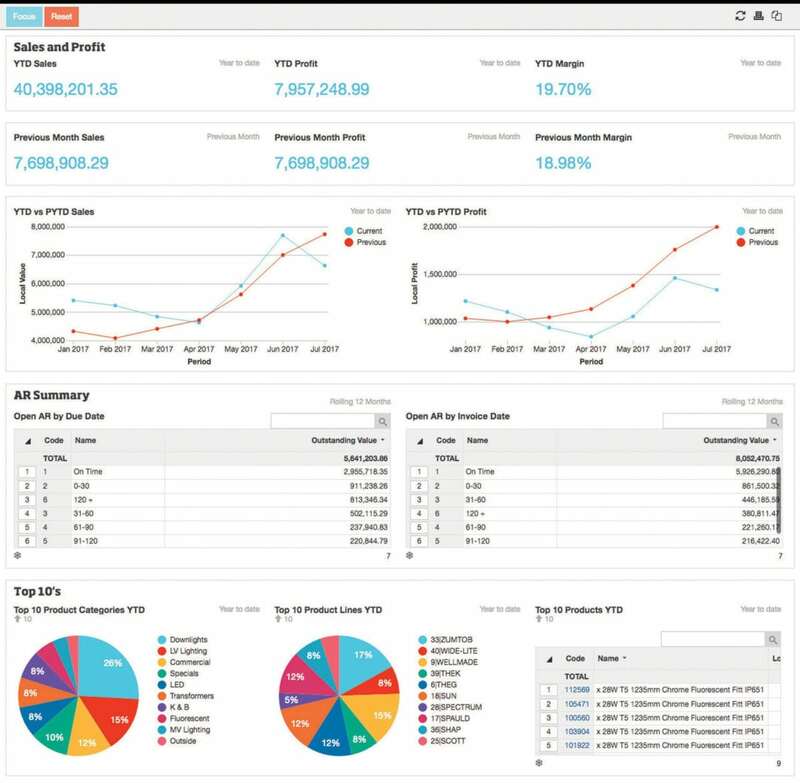 All Merlin Dashboards can be personalised, allowing the user to only see information relevant to them and their team. Merlin Dashboards also work on-the-go, all you need is access to an internet browser. Stay up to date wherever you are. Works on PCs, iMacs, Laptops, MacBooks, Tablets, iPads, Android™ devices and iPhone. Get more reporting power and deep insights from the data in your Merlin system. With our new out-of-the-box standard integration built for non-technical users, you can easily get data in seconds on sales, inventory, forecasts, prices, profit margins, people and budgets. 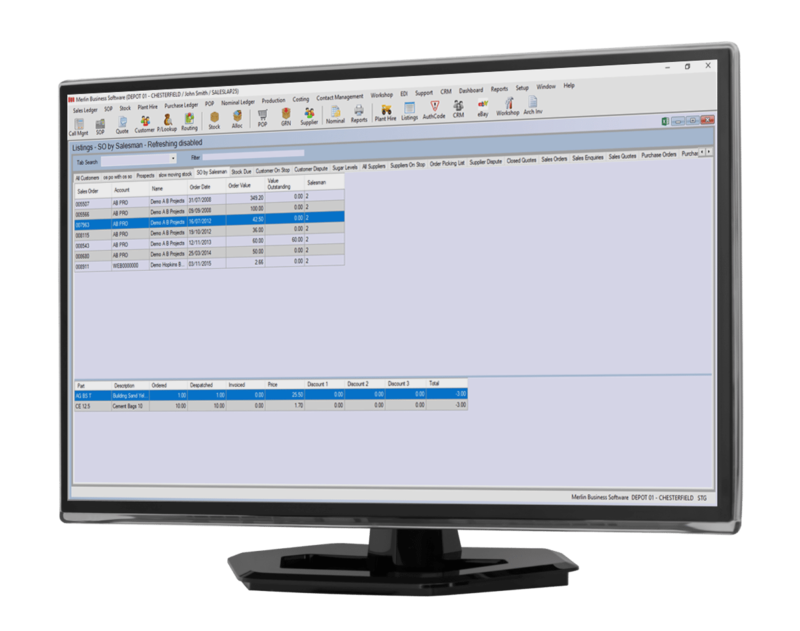 Get complete flexibility from an analysis point of view. Any drill path, any direction, and date range in seconds. Say goodbye to pre-defined reports. By displaying up-to-the-minute information, the dashboard has made monitoring performance almost effortless, helping us to focus on our targets and check company progress at a glance.